Already thinking about what the New Year has in store? Us too. Sure, a trip to a large metropolis is always fun, but rarely leaves you feeling refreshed. Consider taking a trip to Chapel Hill and neighboring Carrboro and Hillsborough in Orange County, N.C. Chapel Hill, after all is consistently ranked at the top of national destination lists yearly. Chapel Hill, one of North Carolina’s premier destinations, is located in the middle of the state on the Atlantic Coast, right between Washington D.C. and Atlanta – making it an easy drive for East Coasters. 1. Food. James Beard loves Chapel Hill, so does Southern Living, Garden & Gun, Our State magazine and The New York Times. 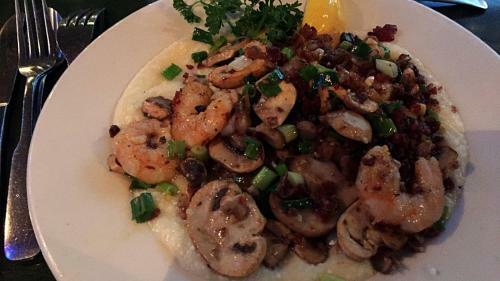 Shrimp and grits? They were invented here and many restaurants all over the world serve our version. For the original, you’ll want to dine at Crook’s Corner. BBQ? Yes, it’s the south and the quarrel between the east Carolina and west Carolina style of BBQ continues. Which is better? Both are in Chapel Hill. You be the judge. 2. Historic, unique downtowns. The area is home to three glorious downtowns: Franklin Street, named after Benjamin Franklin, is tree lined with sidewalk dining, bistros, award-winning coffee shops, cocktail bars and more. Carrboro’s Main Street is the home to the best lawn in the Southeast, Weaver Street Lawn, where you can spend the afternoon people-watching and enjoying live music – it’s also fun for the kids. Hillsborough’s Churton Street is on the National Historic Register, with small restaurants, boutiques and galleries that will charm your socks off. 3. Tailgating. 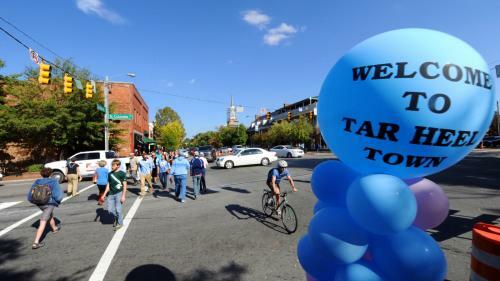 It’s a college town, and Chapel Hill shows its true colors during football and basketball season. You will see some of the best displays of Tar Heel blue there are, from jerseys and painted faces, to pom-poms and yes - even Tar Heel blue firetrucks. It’s what UNC alumni look forward to ever year! 4. History. The nation’s first public university is rich in history, from its fight for civil rights, freedom of speech and fair taxation. The historic buildings on campus and in the local towns tell stories around every corner. Don’t forget the historic buildings of Hillsborough that will take you back centuries. 5. University of North Carolina. There’s a great Visitor’s Center on campus with a weekly tour called Priceless Gems. You’ll learn more than you ever thought possible and you don’t have to be a student to take it. Don’t worry, you won’t be tested after, so you can enjoy the sights care-free. 6. Micro-Brews. Local chemistry graduates from UNC sometimes stay in the area and make some of the best brews in the country. From IPAs, to lagers, there are more than eight local brews in the area to satisfy all types of beer drinkers. To try one, head to Top of the Hill for its classic Old Well White that keeps UNC alumni coming back. Or head to Mystery Brewing in Hillsborough for local brews and eats. 7. Live music. Speaking of live music, several clubs, arts centers and performing art halls fill the air with tunes each week. Check out Memorial Hall, CURRENT, The ArtsCenter and more. 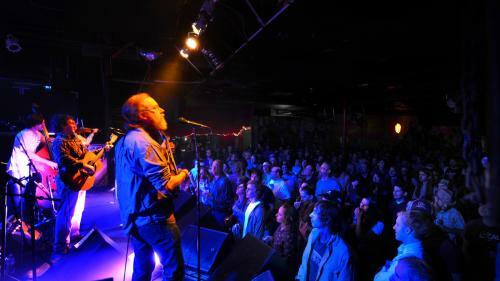 Cat’s Cradle consistently has some of the best shows in town, so be sure to plan your next visit accordingly! 8. Art. Murals, statues, galleries and live music are everywhere and artfully presented. Check out the Ackland Art Museum and get inspired, or do an art walk on the second Friday of every month to get the full experience. 9. A river walk. 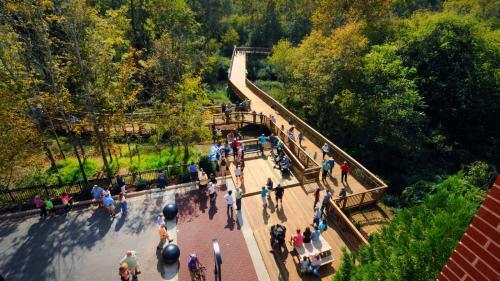 Hop on a family-friendly Riverwalk on the Eno River in Hillsborough for a 1.8-mile stroll along the urban greenway. It’s also part of the N.C. Mountains-to-Sea Trail and includes a one-of-a-kind sculpture from acclaimed artist Patrick Dougherty. 10. Continuing education. Classes, workshops, and personal development seminars take place daily. Many people visit just to get smarter. Looking for a family activity? Head to the Morehead Planetarium and Science Center to experience the mysteries of the universe – it’s one of the oldest and largest planetariums in the country! 11. Greenways. This is an area that takes its trees seriously. In fact, Kenan Memorial Stadium is considered one of the most beautiful football stadiums in the country due to the surrounding pine trees and landscaping. 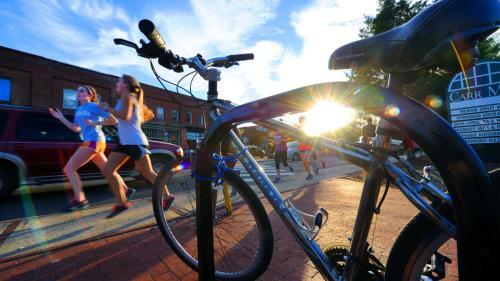 There are bike paths, walking paths, paved and unpaved, in every corner of Chapel Hill, Carrboro and Hillsborough. 12. Botanicals. Azalea, Dogwood, Honeysuckle, Wisteria – you’ll find it all at the North Carolina Botanical Garden, right in the middle of Chapel Hill. There’s also the breathtaking Coker Arboretum located in the center of UNC’s campus. 13. Unique night life. One of the best cocktail bars in the state (dare we say the country) is located right on Franklin Street in Chapel Hill. The Crunkleton is the answer to your crafted cocktail dreams and includes accommodating, sophisticated bartenders who will serve up whatever your heart desires. Want something more laid back? Head down the street into Carrboro for a beer at Steel String Brewery. 14. Locally sourced. Need a local herbalist? Thought so. Right on the outskirts of Chapel Hill, you’ll find Honeysuckle Tea House – where they farm and bring you the freshest, locally-sourced teas and treats. Be sure to also check out Orange County’s many farmer’s markets where you can pick up some delicious goodies to take home. 15. Community gatherings. When traveling, you always want to get the local experience – right? Head to The Carolina Inn for a romantic getaway and mingle with the locals during their Fridays on the Front Porch event. Grab some food from a local food truck, sip on a brew and enjoy live music. 16. Shopping. 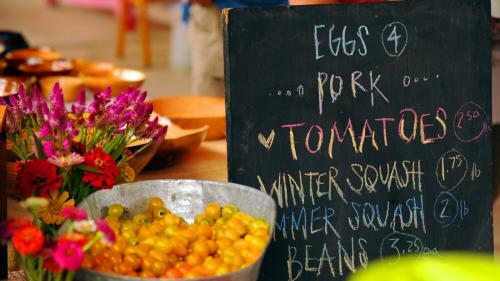 People from all over the state visit Chapel Hill to experience the gourmet food market, Southern Season. Take a class at their cooking school, stock up on hard-to-find seasonings from across the globe or get your next gift hand crafted right here in the south. Carr Mill Mall in Carrboro will also meet all your needs when it comes to unique, local items. 17. Architecture. Take a stroll down historic Franklin Street and you’ll see some of the most beautiful, southern architecture in the state. Explore Franklin Street’s charming residential areas or pop over to the historic Ayr Mount house in Hillsborough that’s over a two centuries old. Up for a little mystery? Take a drive by Gimghoul Castle. While it’s closed to the public, the rumors surrounding the castle are sure to ignite curiosity. 18. Hospitality. All are welcome in Orange County. Visitors say it constantly: this is one of the nicest, most inclusive places in the world with the most generous people anywhere. It’s true, and we invite you to find out for yourself. Please head to visitchapelhill.org for more information.